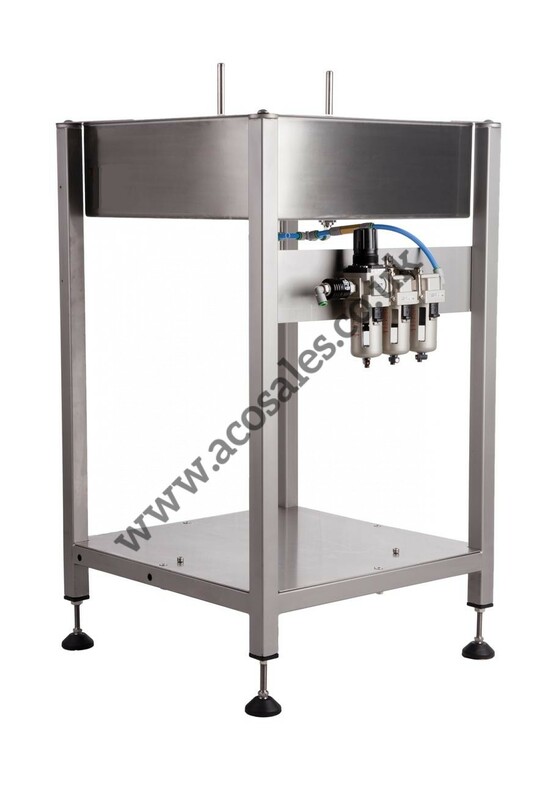 This twin nozzle bottle rinser is a compact unit on a stand that issues a powerful jet of rinsing water/sterilising solution /air to the base of inverted bottles. 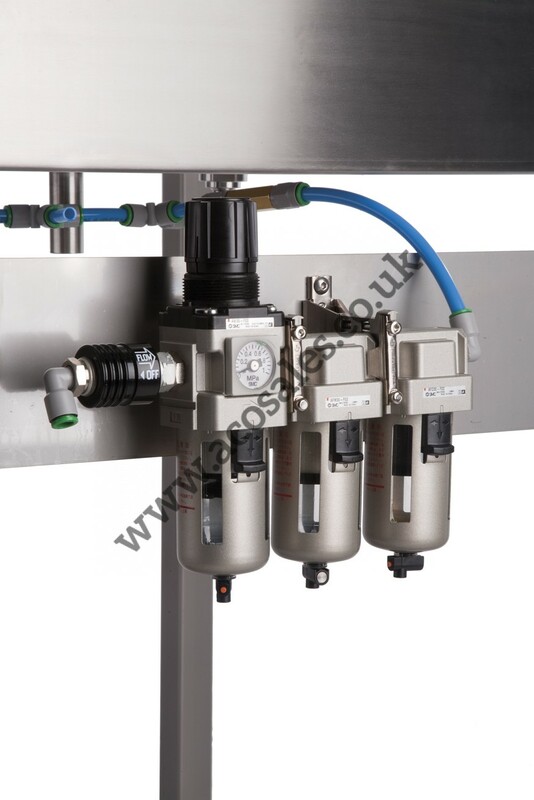 It has two pressure activated nozzles and a drain, mounted on a stainless steel stand. 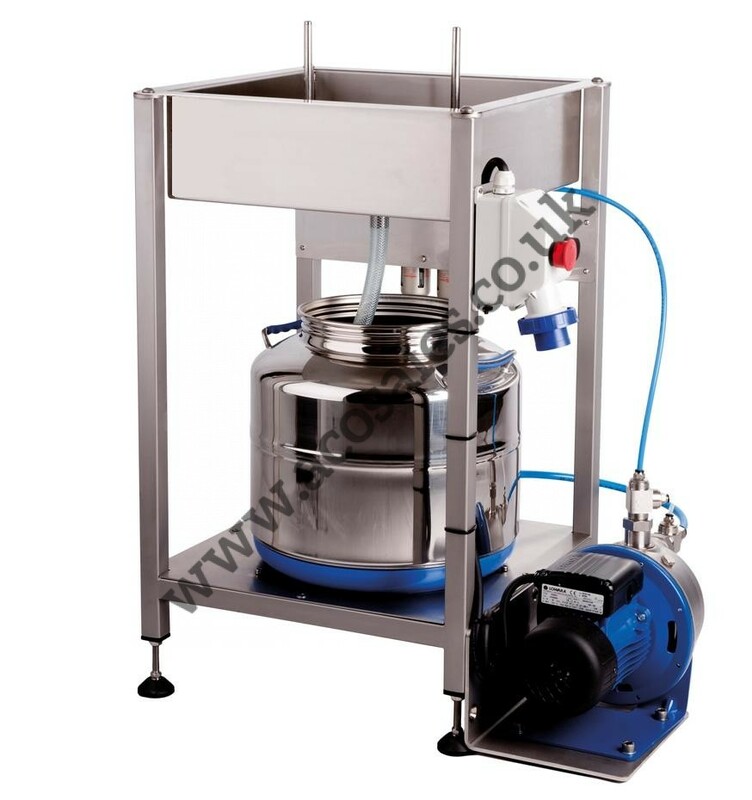 The stand is fitted as standard with a pump to supply the water at the correct rinsing pressure or a 3 stage filter / regulator and all necessary air tubing to supply the air at the correct blowing pressure. 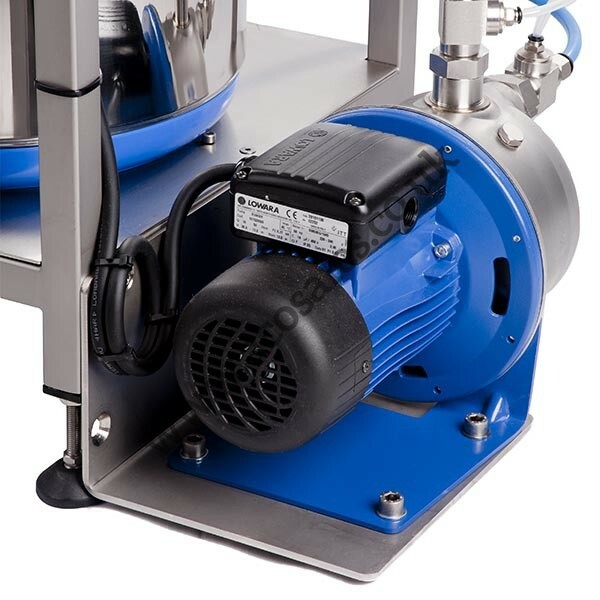 The BR2 can now also run directly from mains water feed without a pump.